I'm returning to the saltwater scene with a new tank and so many more questions! 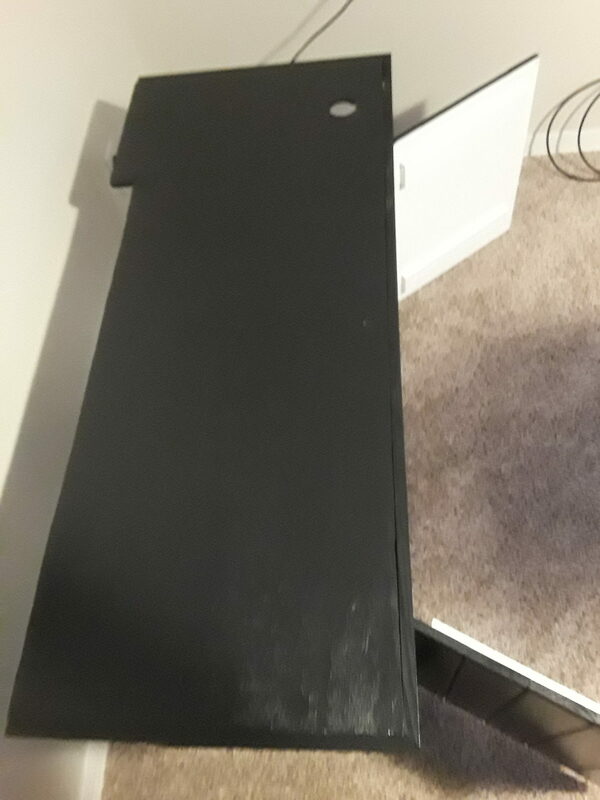 I have a Mr. Aqua 22 (36"x12"x12") thats currently set up as a freshwater however I'm planning on switching it to a reef tank in the coming months. I previously had an AIO Biocube 29 with some minor modifications, however now that I don't have an AIO I'm somewhat confused on where to begin. 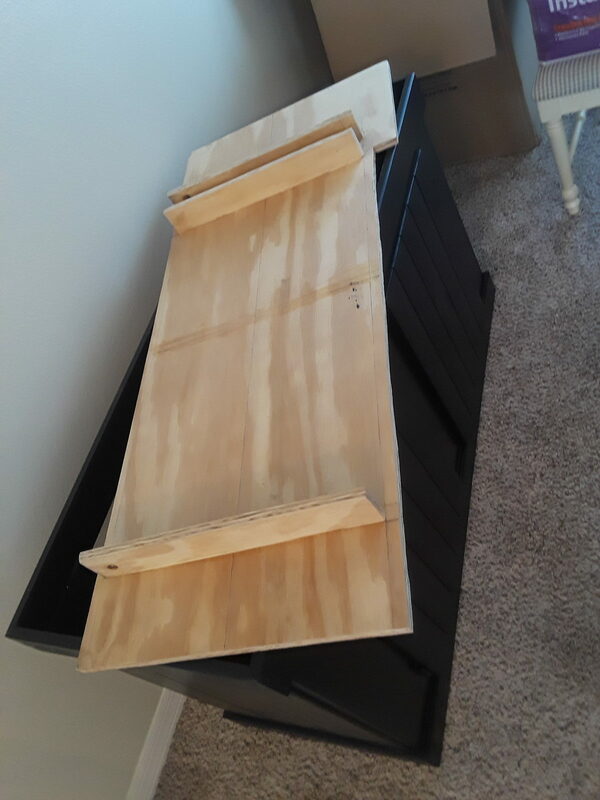 Is a sump/refugium doable without drilling the tank? How would that work? Would a regular outtake hose work? 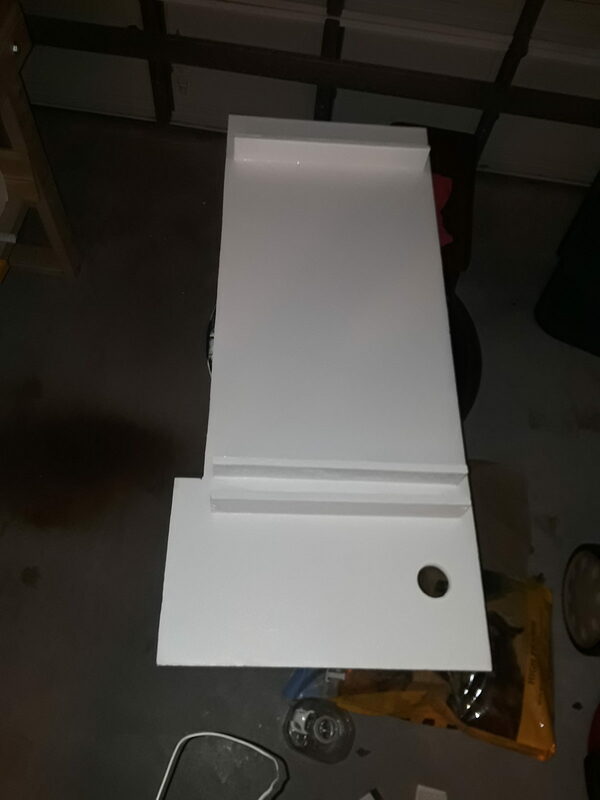 If a sump isn't realistic without drilling the tank, what are my options for a refugium type thing? Are there any? I have a canister filter from my freshwater set up that I could use as a mechanical filter and for water circulation in addition to a power head. For those of you with no sump/filter what do you use for circulation? Just power heads? Lighting is pretty much a mystery to me, I got a decent light super discounted at a LFS but its only a 24" light and the brackets don't extend past that. Its a Coralife T5 H.O. Lunar and it worked pretty well for the Biocube. 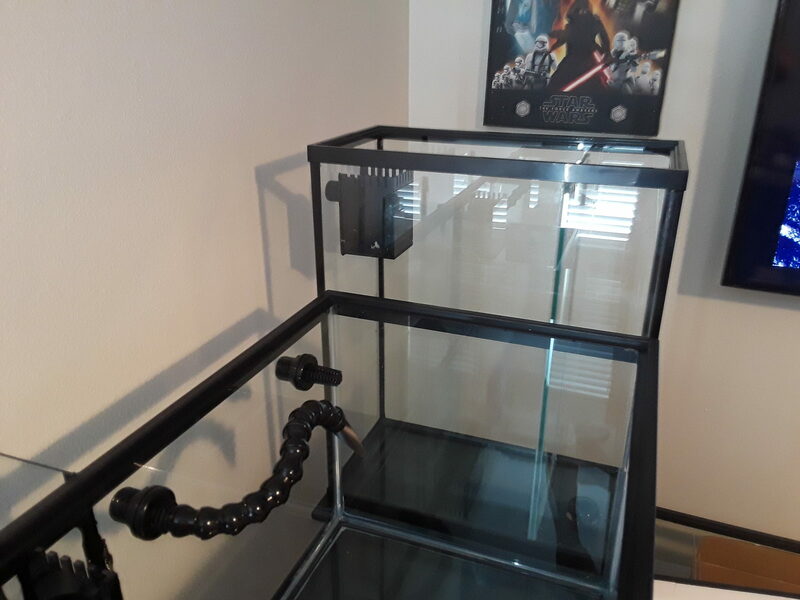 I'm hoping I'll be able to rig up some sort of hanging kit for it so that I can still use it on the new tank. Any ideas would be very helpful!! My hope is to do a mostly softies tank with a few lps and maybe one or two low level sps. I think it'd still work in a sump. Also I don't want to drill the tank, or have anything hang on the back. Well that rules out just about everything. Drilling is actually not as big of a deal as you might expect. 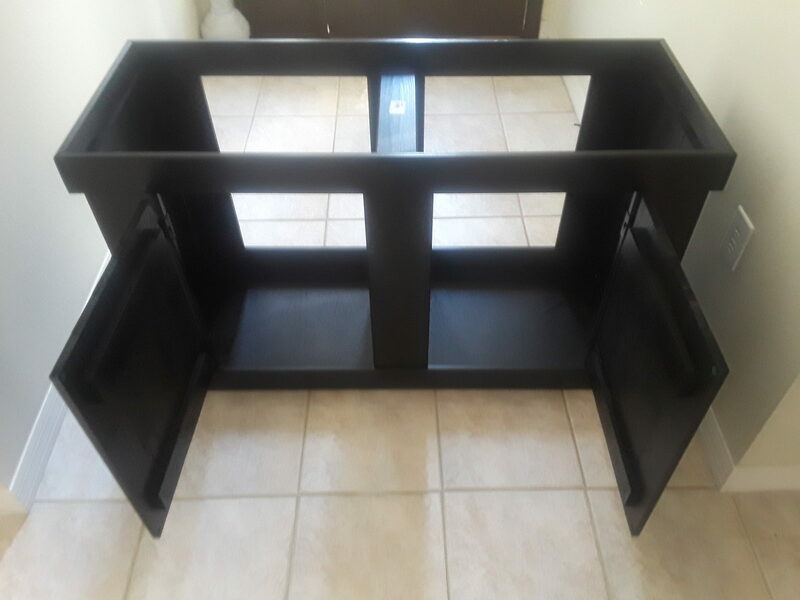 Is a sump/refugium doable without drilling the tank? How would that work? If you don't drill your tank, you'd need a hang on back overflow. Basically, you pump water from the sump into your display. The water then overflows back down into the sump. The sump is where you put the return pump, filtration, heater, refugium, reactors, ATO, probes, or whatever. 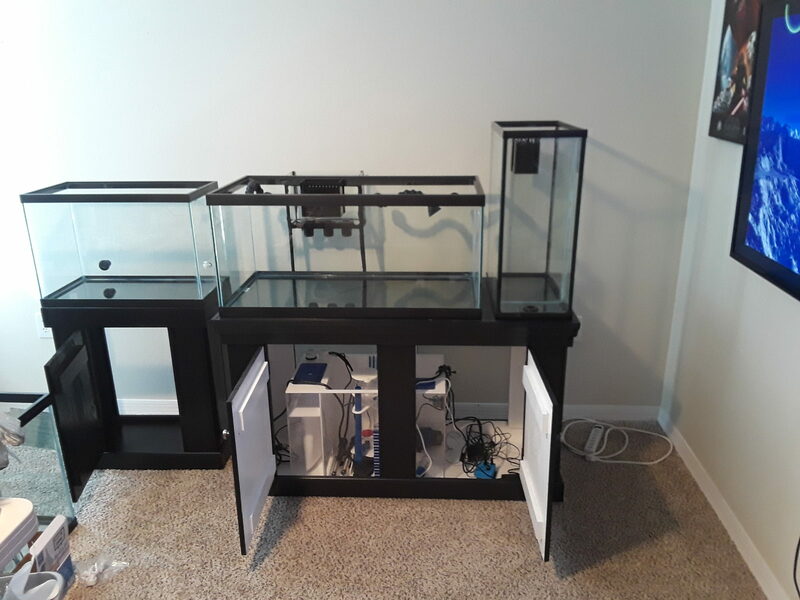 If a sump isn't realistic without drilling the tank, what are my options for a refugium type thing? Are there any? There are HOB refugiums, HOB filters that can be converted, and there are in tank refugiums. I have a canister filter from my freshwater set up that I could use as a mechanical filter and for water circulation in addition to a power head. For those of you with no sump/filter what do you use for circulation? Just power heads? Based on your requirements, a canister filter may be your best option. A lot of people will tell you to steer clear (as HOB filters are often easier to maintain), but they are fine if kept clean. Biofilter media isn't required as the live rock will be the biofilter. Yes, people with sumps and other filters usually still use a power head for more flow. I'd probably get a new light. Either a four bulb 36" T5HO, or LED lighting. However, if you concentrate your corals directly under your current light, it should still work. 😂 I'm starting to see that hahaha I continued doing more research into sumps etc and I think I'm gonna end up going with an Overflow box and a sump. I think by "nothing HOB" i meant more like doing an Aquaclear 110 as the filtration lol.... I'm wanting to keep things visually clean and minimal, but an overflow box wouldn't be too bad. 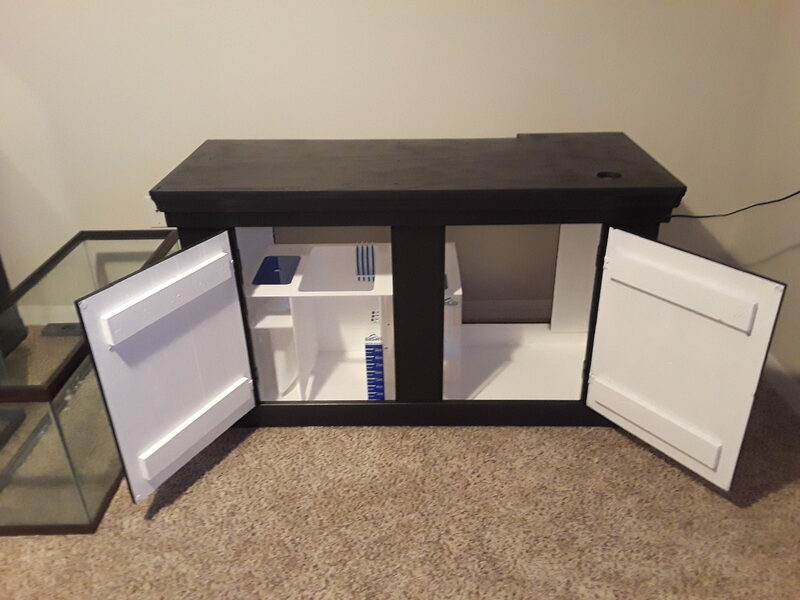 I'm considering going with an Aqueon Proflex Modular sump, I'm not the most handy with building aquarium things so purchasing might be a more convenient way to go for me. Okay good to know! This tank is shorter than the biocube I previously had it on so I'm thinking that will help as well if I keep it. You can set a refugium above the display tank. A lot of people do this because it allows the beneficial pods to naturally flow into your diplay - rather than going through the pump impeller to get into the tank. A 5.5g tank or a 10g tank makes a nice refugium. Get a small overflow and silicone it into a corner. Drill your hole and install a small 3/4" or 1/2" bulkhead and strainer. Run a powerhead in the display tank to pump water up to the refugium. It will naturally drain back to the tank via your bulkhead and some minor piping. Oh interesting!! I'll definitely have to look into that! What ever happened to your refugium idea? Did you build the stand for the 40? Not really. I bought a factory stand and modified it. It's a cheap stand for a 75/90g tank. It's the correct length for a 40g breeder and the 20XH. 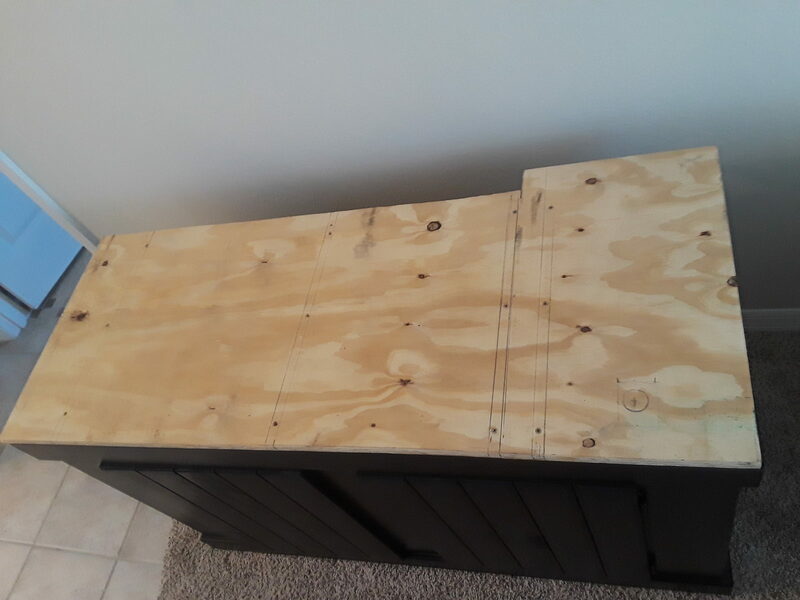 I cut a piece of 3/4" plywood for the top and trimmed it. Painted the inside white. 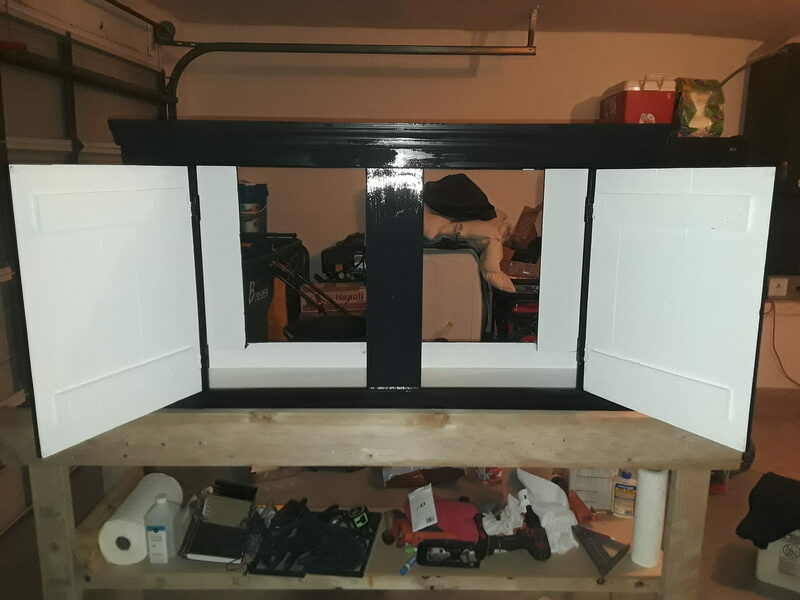 Went over the outside with black so it would match the top and the trim. It was easier than building a stand, but still quite a bit of work. The 3/4" plywood top just sits on top of the factory stand. I was originally going to glue and screw it down, but in the end I decided it wasn't needed. It's got a 2" wide lip hanging off the back to accomodate the 20XH. The 20XH has the same footprint as a standard 10g tank -- just twice as tall. With the little 2" lip on the back, it fits perfectly. The ribs under the plywood top rest on the uprights that carry the weight to the floor. So weight is distributed across the entire top rail system (as intended by factory) and a little is spread into the vertical legs themselves. The ribs are really just to keep the plywood from bowing. They didn't need to be full depth and rest on the wood underneath, but it also didn't hurt. That's an Icecap 24 sump. It only fits, if it's empty and you turn it on end, then twist and turn it down into the stand ..... from the top. I've turned it every which way I can think of and can't get it out of the stand without taking the top off. Hopefully not a problem down the road. When I get done with the plumbing, the whole thing gets disassembled and moved to the garage for a water test. I'll replumb it and fill it with a garden hose. Turn on the pumps and let it run for a week or two. If nothing leaks, we'll tear it down and move it back inside the house.... reassemble... and cross our fingers.